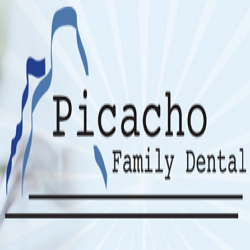 Picacho Family Dental - We offer a full-service, state-of-the art dental practice. In addition to general family dentistry, we offer the latest technologies in preventive, restorative and cosmetic dentistry to Yuma. I welcome you to our practice! Here at Picacho Family Dental we are committed to providing quality dental care in a comfortable environment. We all know how important our teeth are. They give us self-confidence when we have the ability to show off our smile to others. They help us maintain our health by aiding in the digestive process when we eat. They help us retain a youthful appearance by supporting our lips and cheeks throughout our lives. Because of these simple reasons it is of upmost importance to me to help all my patients retain their natural dentition. Unfortunately neglect and infrequent visits to the dentist can lead to conditions (tooth decay and gum disease) which require the removal of teeth because of pain and infection. For this reason we try to stress to all of our patients the importance of dental health maintenance, regular cleanings and checkups, to prevent big problems from occurring. Here at Picacho Family Dental my staff and myself will explain the problems that you have, help you understand the cause of the problems and the consequences of neglecting recommended dental treatment. We believe that you as the patient should be informed so that you can make the best decision possible. We will try our very best to answer all your questions and keep you at ease during the treatment process. We believe that when you become a patient in our practice you become a member of the family and that is how you will be treated. Here, at Dr. Matthew Cavendish's dental practice, we specialize in general, restorative, and cosmetic dentistry. Union Hills Family Dentistry offers a full array of cosmetic dentistry services to help you create a satisfying smile. Maricopa Family Dentistry & Orthodontics is a full service health care provider capable of handling all your dental care needs under one roof.